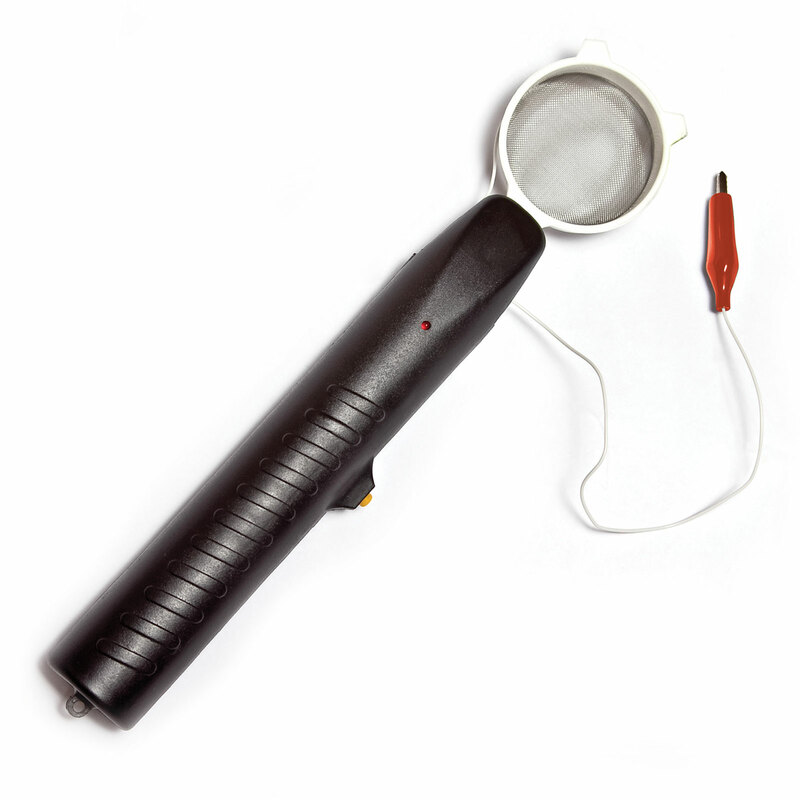 The Grass Tech is a handheld, battery powered electrostatic tool that creates realistic standing grass scenery. 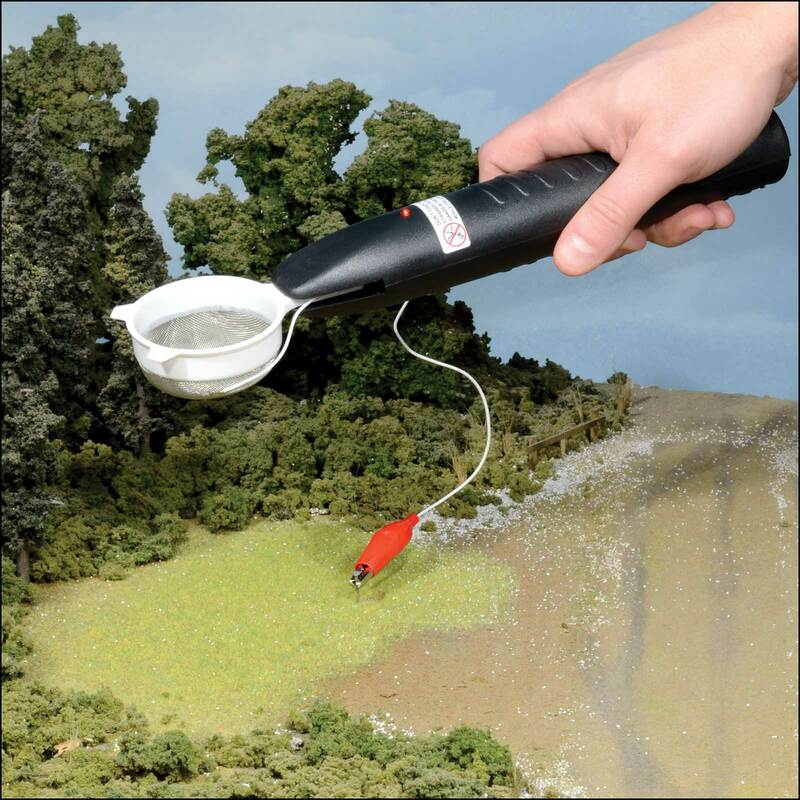 How it works: Apply scenery cement (sold separately; see #85043 below), insert a pin/nail and attach clip, fill the shaker unit approximately 2/3 full with static grass, turn on the unit and wave it gently over the area. Polarized, statically-charged grass fibers land vertically on the glue. It's that easy! Newly redesigned with shorter electrical lead to prevent interference with your work area and a larger basket. I don't know where the 2 "D" cells for batteries are coming from but the one I just received from Micro-Mark uses two "AA" batteries.